I have a bit of an internal battle for quite a while; I couldn’t decide whether to introduce sight words to Filip. I knew we only had a month or two before he would head off to school and there he would be introduced to the super rigorous phonics curriculum called LEM Phonics. I worried that teaching him to “memorise” sight words would confuse him and he would stop trying to sound out words. I mean, I didn’t want to be the mum of the kids who would say “c…a..t…. kitten!” You know what I mean? So, that’s why I was conflicted! But he kept asking to do more school work. So, I decided we would make it fun, and not focus too much on reading sight words by sight. I encouraged Filip to sound out the ones that could be decoded, and we just memorised the ones that we couldn’t decode. 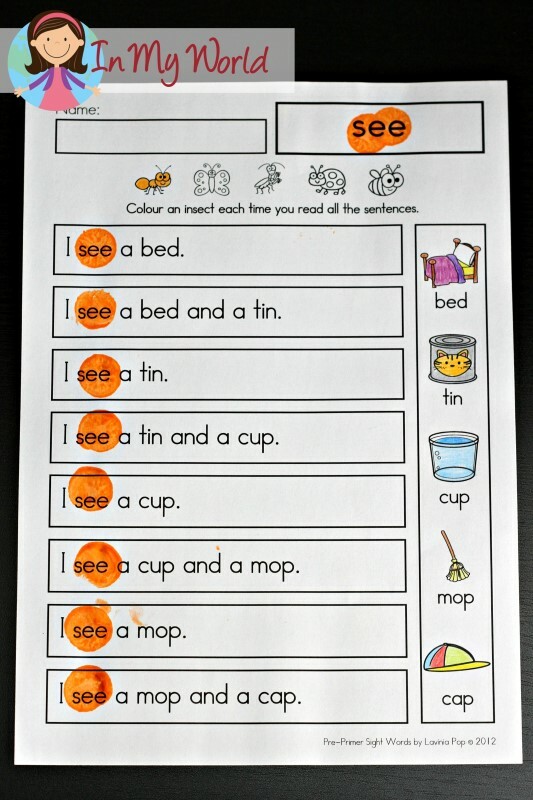 Here are some pictures I took during the week to show you some of the worksheets and activities that we did. 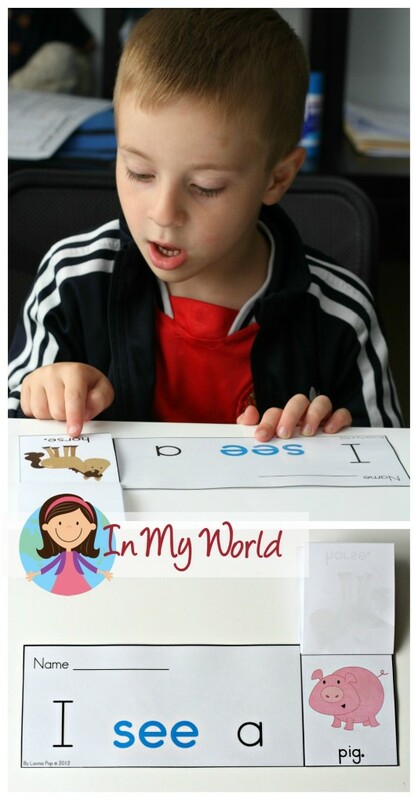 One of Filip’s favorites was the sight words word find. 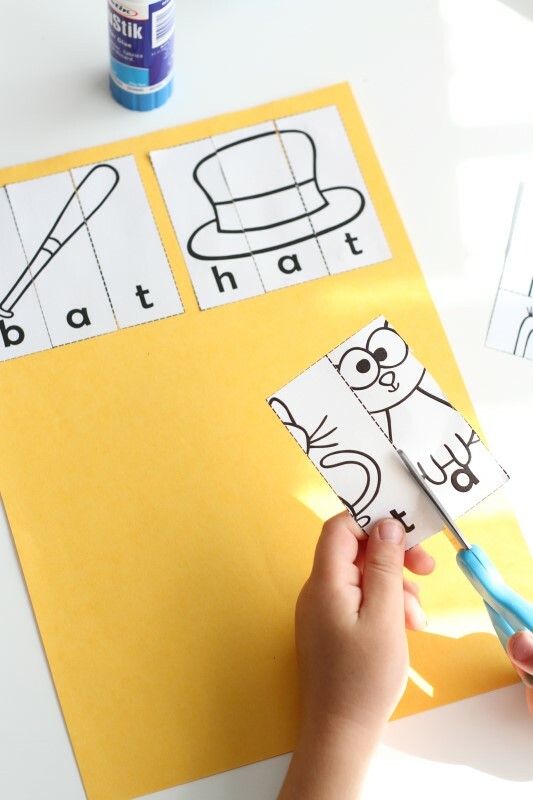 This is a super easy activity that focuses on sight word recognition and requires no writing, so it is perfect for beginning readers. We grabbed our bingo dauber and dotted all the words. Here is what Filip did for “a”. Filip also did a Q-tip activity. 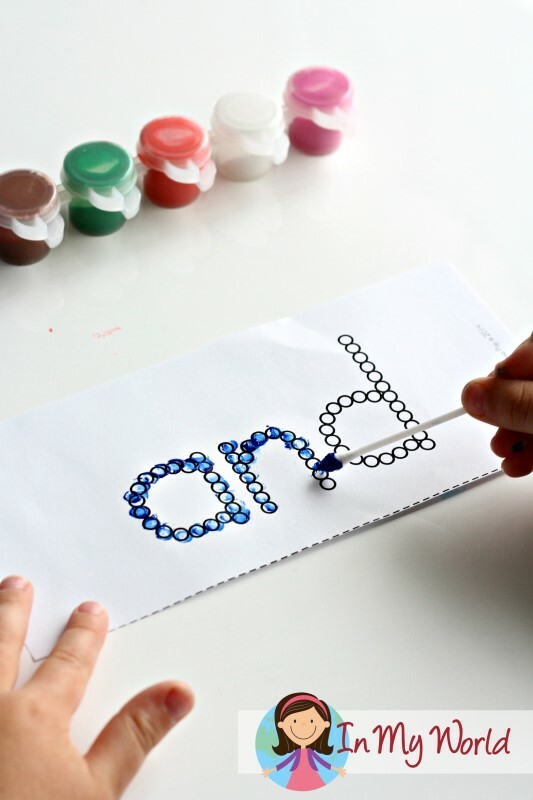 This is another great activity for young learners who don’t yet write as this activity also helps to develop fine motor skills in preparation for writing. This cut and paste word work activity was also fun and Filip did well, but he did need me to help him with circling the correct spelling. We decided to cross out the wrong words to help him understand what is meant by correct spelling. As you can see from the “see” page, reversals are still a bit of an issue for my little man. Because Filip is a kinesthetic leaner, we did some hands-on activities too. 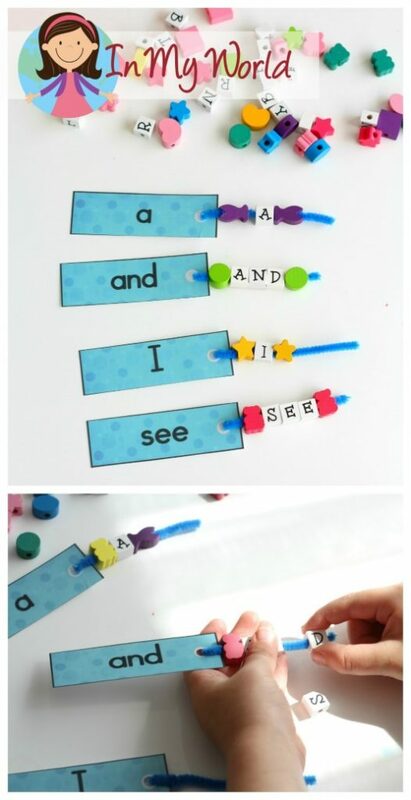 This sight word building activity was super fun and helped to further develop his pincer grasp, as he threaded the beads onto the pipe cleaners. Filip has developed a real love for reading (as one would have hoped by now), so we read this little book on most days. 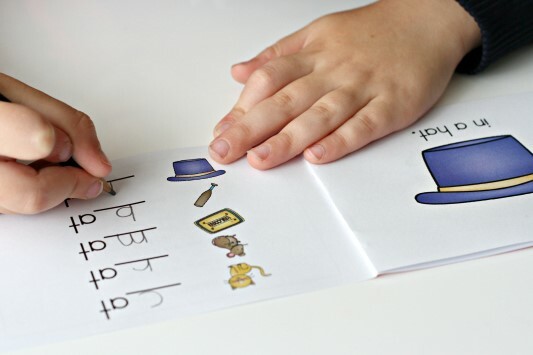 These fluency flip books are ideal if you’re looking to save on paper! We also read a page like the one below each day. I asked Filip to first identify the focus sight word and dab it, and then he read each sentence out loud. Between you and I, I will admit that I love these fluency reading pages to bits as they incorporate both sight words and CVC words! 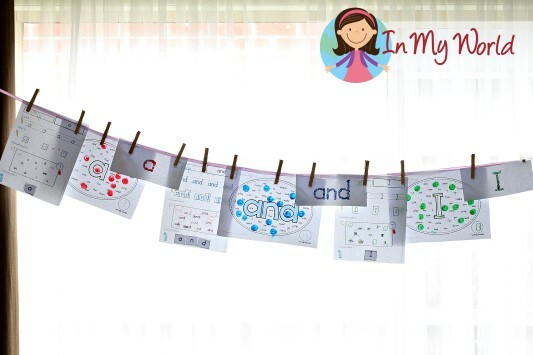 That means your kiddos don’t have to try and guess unknown words, but can sound them out. We also did some word family activities. I’ll begin with Filip’s favorite: the -at word family word building mat. We used our rubber stamps that I had purchased from OfficeWorks quite a while back to build each word as he sounded it out. 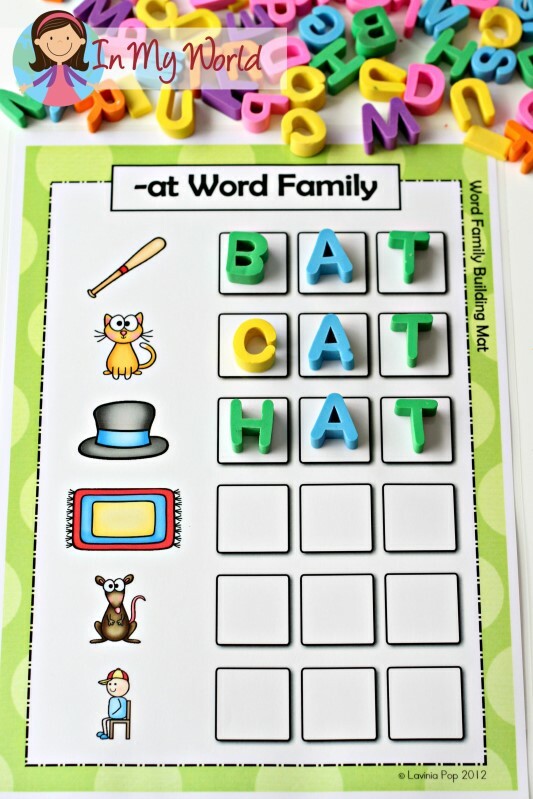 He also did an -at word family picture scramble activity. Now, this particular activity comes in booklet style, but I decided to simplify it and asked Filip to glue the strips onto some paper. And there you have it folks! Week 1 all done! Very interactive ideas! Thanks for sharing. Where did you purchase the white ABC beads? I love these! Great hands on activities. You are one of my all time favorite pinners! Are they for sale…wk 1 and 2? 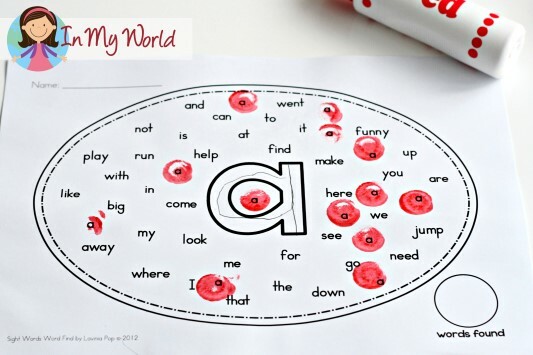 Is there somewhere to get all of your sight word/word family work in one place? I would like to get it all for my classroom stations. Hi! I love your activities and suggestions. Where can I get information about the other weeks? I see week one and week 2. Can you please share with me where you got he cute beads for the pipe cleaner spelling. I loved the font on them. Thank you for all the great resources! Yes I would love a package like this for my daughter? Where could I get this stuff from? I love the way this was put together, however when trying to download it would not work properly. Can you tell me where to purchase the bundle for my granddaughter. Thnak you for sharing your good tips. 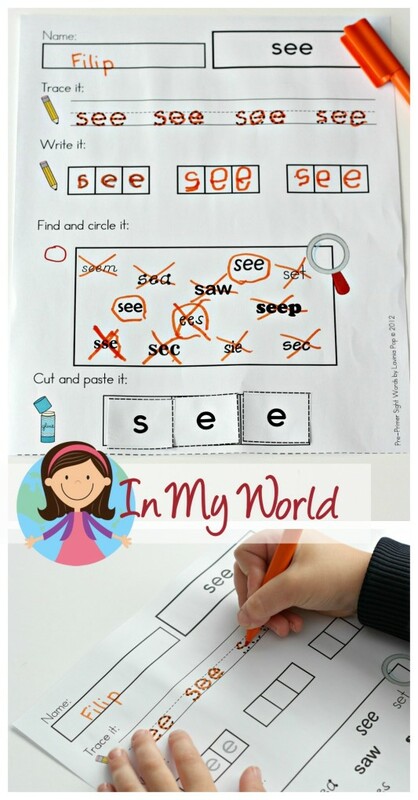 Do you have a specific order to introduce the word families and sight words?